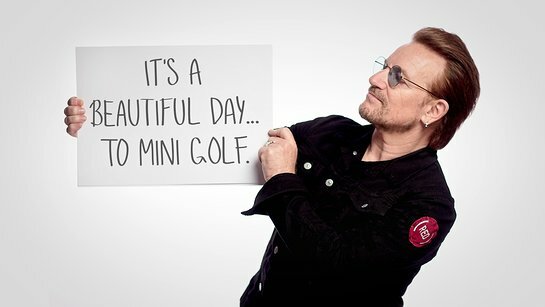 Here’s your chance to play mini golf with U2 before one of their shows… and all you have to do is donate to (RED). 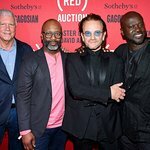 A new contest from omaze.com is giving you the chance to win this unique experience. The more you donate to the cause, the more entries you get. Every day 400 babies are born with HIV, but they don’t have to be. The life-saving pills that keep an HIV+ pregnant woman alive and healthy also prevents the virus from passing to her unborn baby. These pills cost as little as 30 cents a day in sub-Saharan Africa – that’s two lives saved for just 30 cents. When you donate to win a (RED) experience on Omaze, you’re supporting (SHOPATHON) RED – the annual holiday campaign to raise awareness and money to help HIV+ moms get access to lifesaving medication, bringing us closer to a world where no baby is born with HIV. Let’s end AIDS. To find out more and enter, click here.